Quilts and Blankets for your kid's room, dorm room, or baby nursery! Small quilts, minky blankets, colorful and themed throws, and more! The ABC All Over Crib Set has everything you need to decorate your baby crib in your nursery. Adelia Apricot Twin Quilt, by VHC Brands. Inspired by the classic elegance of antique European whole-cloth quilts, Adelia Apricot Twin Quilt feature meticulously hand-stitched diamond quilting covering the front and back. Adelia Creme Twin Quilt, by VHC Brands. Inspired by the classic elegance of antique European whole-cloth quilts, Adelia Creme Twin Quilt feature meticulously hand-stitched diamond quilting covering the front and back. Adelia White Twin Quilt, by VHC Brands. Inspired by the classic elegance of antique European whole-cloth quilts, Adelia White Twin Quilt feature meticulously hand-stitched diamond quilting covering the front and back. 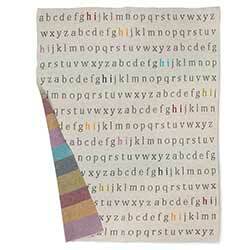 Features an allover pattern of the letters of the alphabet in both neutral grays and rainbow colors. 32 x 40 inches. 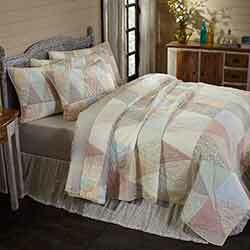 The Ava Quilt features hexagonally tiled triangles in nine alternating patterns of heirloom florals and solid colors. 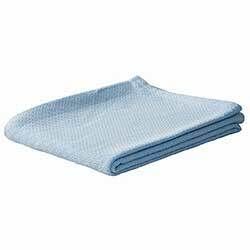 Blue Baby Blanket, by VHC Brands. Little ones need a warm, cuddly blanket for swaddling or tummy time, small-size just for them! Makes a great baby shower gift! This one is a medium blue color. Butter Yellow Baby Blanket, by VHC Brands. Little ones need a warm, cuddly blanket for swaddling or tummy time, small-size just for them! Makes a great baby shower gift! This one is a soft buttercup yellow color. Wake each morning into a relaxing, inviting bedroom with this fresh floral quilt in blues, greens, and whites! Features printed squares in paisley and floral patterns, with attractive diamond quilting. 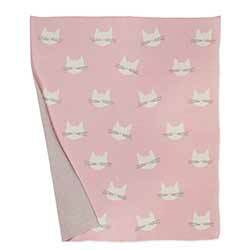 Features an allover pattern of modern cat head illustrations in an ivory and pink. 32 x 40 inches. Features rows of dots in pinks, orange, and white against a gray background. Reveres to colored stripes on the back with grey dots. 32 x 40 inches. Dusty Blue Baby Blanket, by VHC Brands. Little ones need a warm, cuddly blanket for swaddling or tummy time, small-size just for them! Makes a great baby shower gift! This one is a pastel dusty blue color. 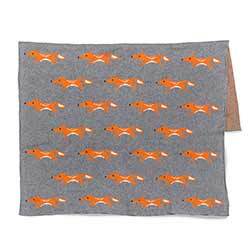 Features an allover pattern of whimsical orange foxes against a gray background. 32 x 40 inches. 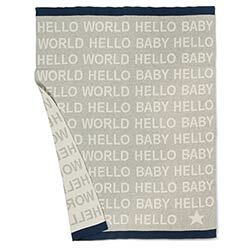 Features an allover pattern of modern text reading "HELLO BABY - HELLO WORLD" in ivory and gray. 32 x 40 inches. Independence Quilt - Twin, by Ashton & Willow. 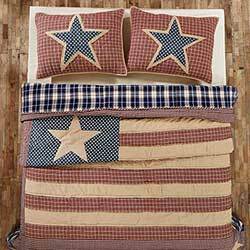 Celebrate patriotic decor with our USA flag-inspired Independence patchwork quilt. 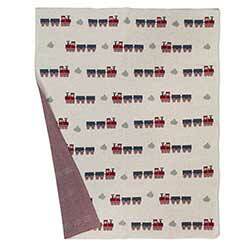 The stars and stripes are prominently featured in the quilt center with a reverse seam construction for added effect. Border and reverse are a large blue and tan plaid. Outward facing patch stars are in each corner. Ivory Baby Blanket, by VHC Brands. Little ones need a warm, cuddly blanket for swaddling or tummy time, small-size just for them! Makes a great baby shower gift! This one is a pretty cream color. 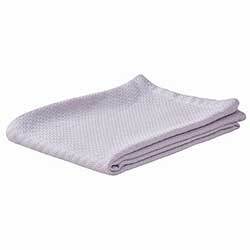 Lilac Baby Blanket, by VHC Brands. 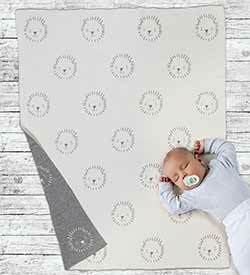 Little ones need a warm, cuddly blanket for swaddling or tummy time, small-size just for them! Makes a great baby shower gift! This one is a pretty light purple color. Features an allover pattern of modern lion head illustrations in ivory and gray. 32 x 40 inches. 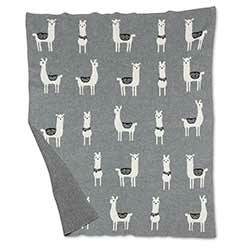 Features an an allover pattern of llamas in neutral gray, black, and white. 32 x 40 inches. The Natasha Collection features rows of shirring and ruching for a modern romantic appeal. 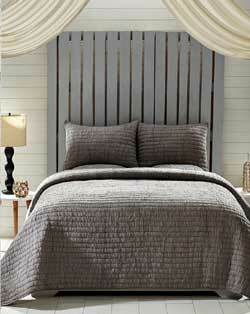 Available in a variety of neutral colors, this is for TWIN sized quilt in the Chateau Grey color. The Natasha Collection features rows of shirring and ruching for a modern romantic appeal. Available in a variety of neutral colors, this is for QUEEN sized quilt in the Warm Taupe color. The Rochelle Collection is a line of solid colored bedding, featuring attractive rouching in 2 inch strips. This is for the BEACH GLASS quilt set, which is a coastal-inspired aqua blue. 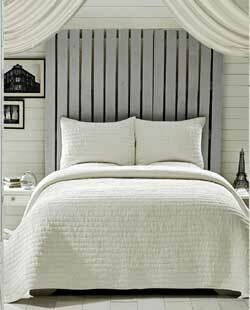 Rochelle Creme Quilt Set, by BT Home. The Rochelle Collection is a line of solid colored bedding, featuring attracti ve rouchine in 2 inch strips. This is for the CREME quilt set. Available in the King, Queen, or Twin Size. Quilt comes with matching shams - 2 luxury size for King, 2 standard size for Queen, and 1 standard size for Twin. Other colors available! 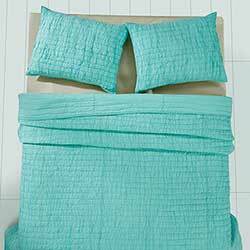 Rochelle Grey Quilt Set, by BT Home. The Rochelle Collection is a line of solid colored bedding, featuring attracti ve rouchine in 2 inch strips. This is for the GREY quilt set. Available in the King, Queen, or Twin Size. Quilt comes with matching shams - 2 luxury size for King, 2 standard size for Queen, and 1 standard size for Twin. Other colors available! 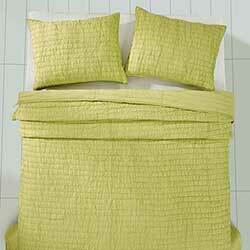 Rochelle Lime Sherbet Quilt Set, by BT Home. The Rochelle Collection is a line of solid colored bedding, featuring attractive rouching in 2 inch strips. This is for the LIME SHERBET quilt set, which is a light lime green. Available in the King, Queen, or Twin Size. Quilt comes with matching shams - 2 luxury size for King, 2 standard size for Queen, and 1 standard size for Twin. Other colors available! The Rochelle Collection is a line of solid colored bedding, featuring attractive rouching in 2 inch strips. This is for the RUBY quilt set, which is a pretty jewel-toned garnet red. Sage Green Baby Blanket, by VHC Brands. Little ones need a warm, cuddly blanket for swaddling or tummy time, small-size just for them! Makes a great baby shower gift! This one is a pastel sage green color. 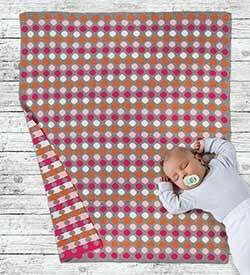 Snuggle up in style and comfort with one of our ultra soft, cable knit cotton baby sized throw blankets - this is for the train design. 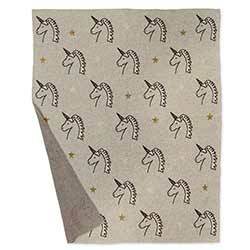 Features an allover pattern of unicorn head illustrations in gray, with a touch of blush pink and gold. 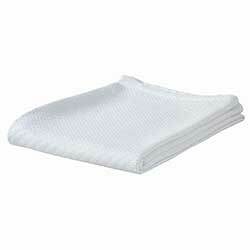 White Baby Blanket, by VHC Brands. Little ones need a warm, cuddly blanket for swaddling or tummy time, small-size just for them! Makes a great baby shower gift! This one is a snowy white color.